In a recent bout of national interviews, we were asked about automotive trends and where they are headed. 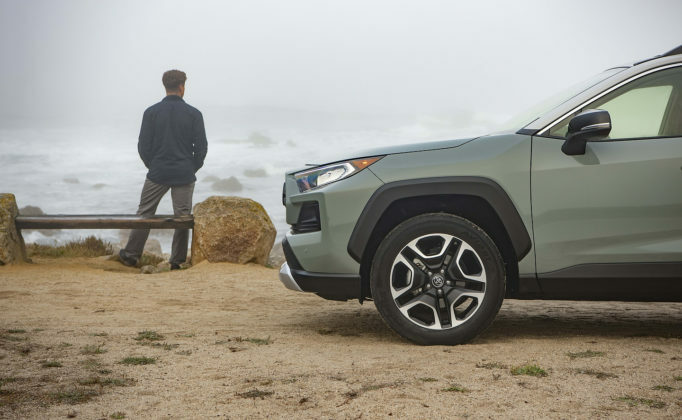 While it’s difficult to precisely predict the future, we answered that crossovers are more than just the present – they will be around for a long time. 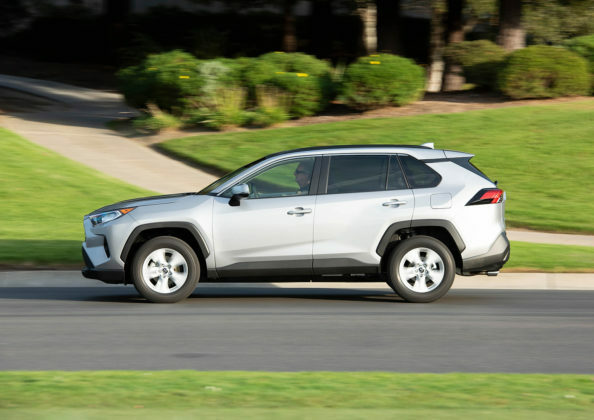 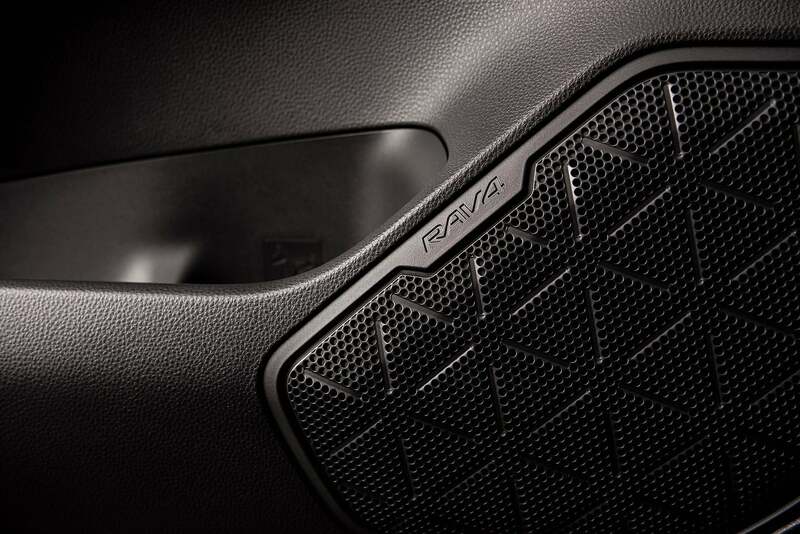 The compact CUV segment in which the RAV4 does battle is the most active in the car world. 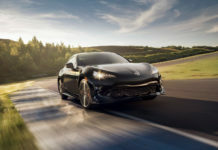 They are largely responsible for the decline in midsize sedan sales. 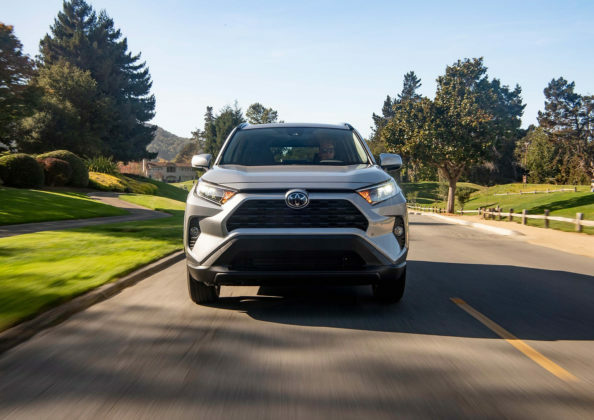 Toyota offers one of the most popular, highly praised CUVs and it is now back with a whole new attitude. 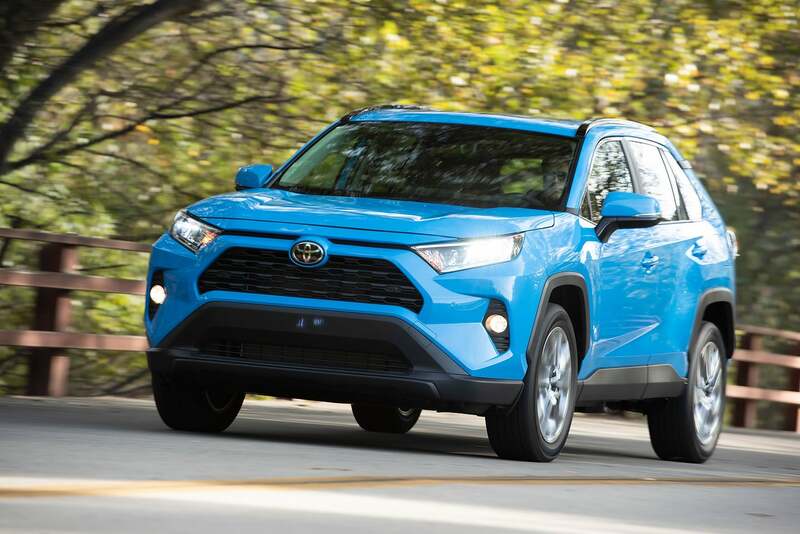 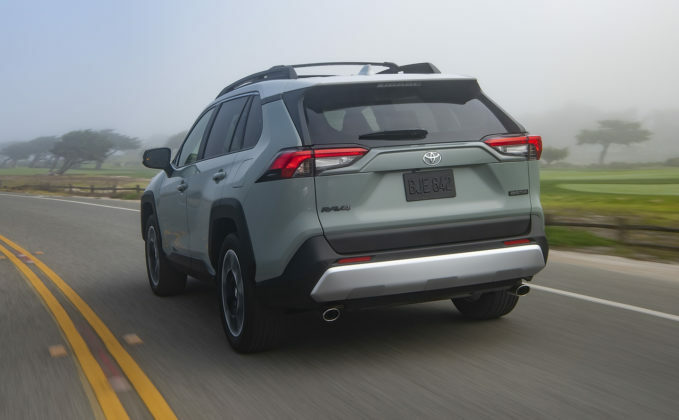 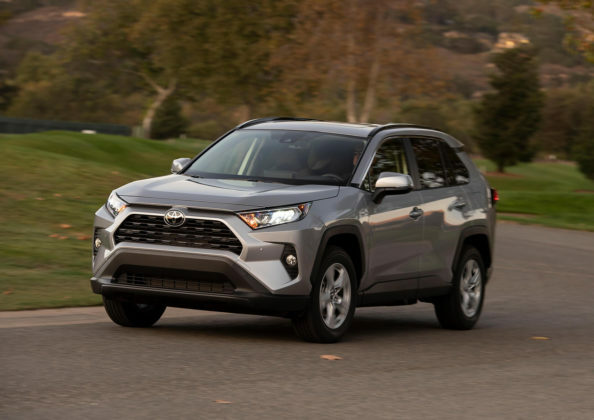 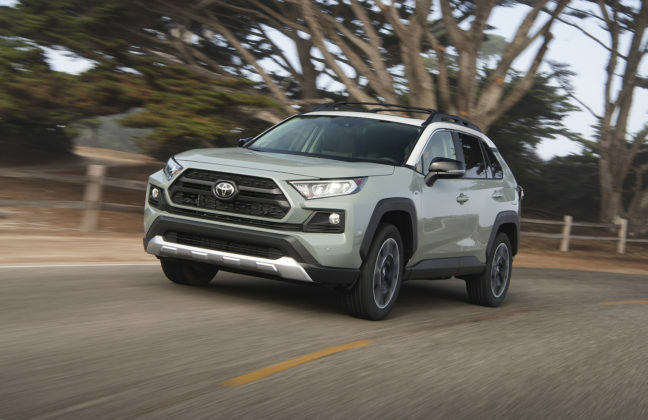 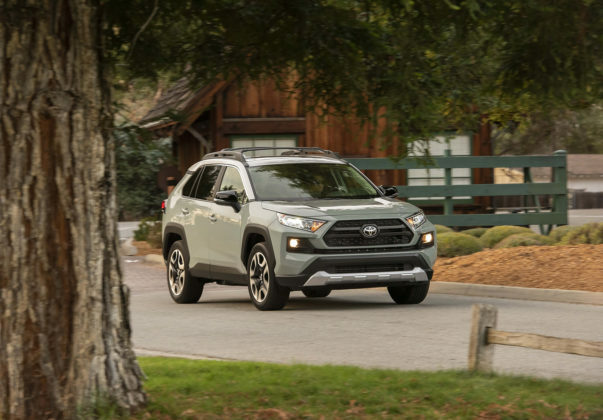 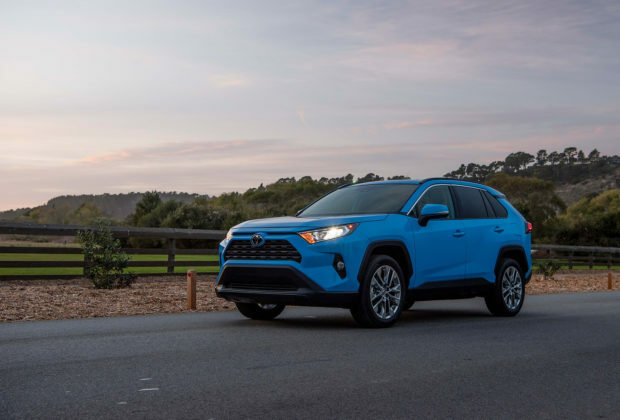 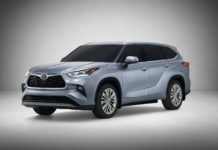 What’s new about the 2019 Toyota RAV4? Other than a slightly dated approach, the previous RAV4 was very good. 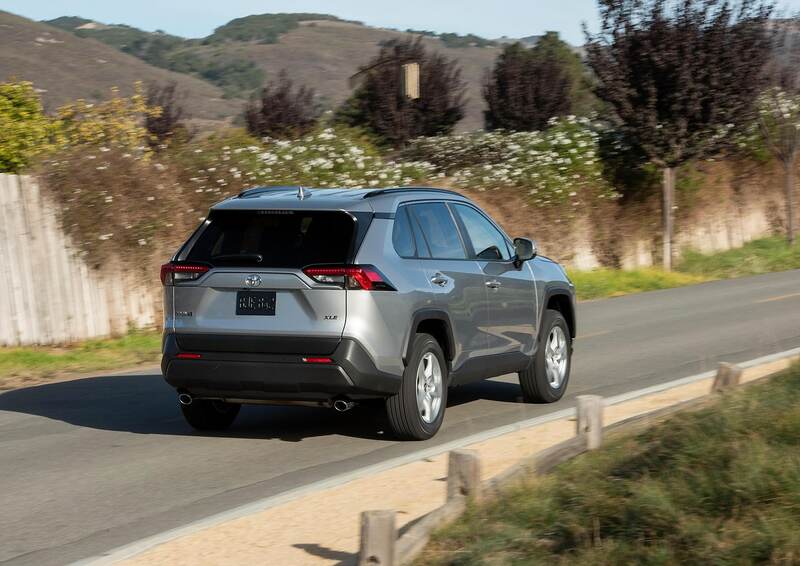 Unsurprisingly, the new RAV4 for 2019 improves upon all aspects in order to maintain its near supremacy in the segment. The more rugged SUV-inspired design will play a large role in getting it noticed. 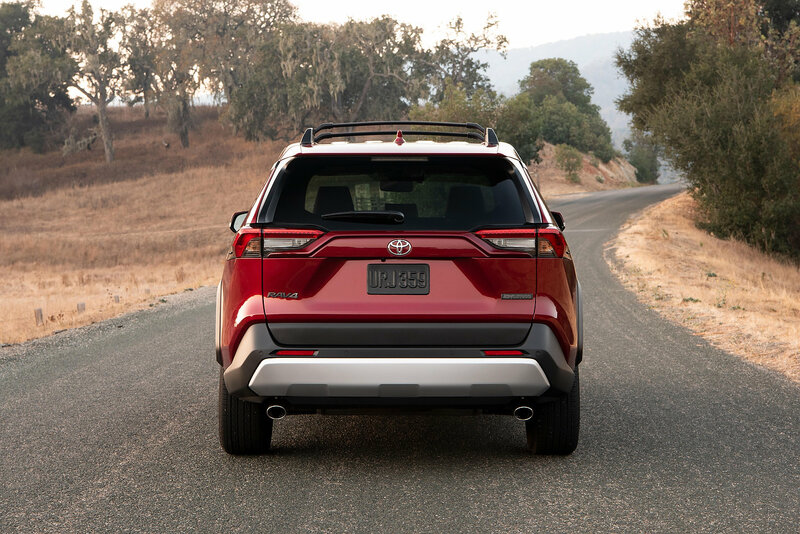 Other than the quirky 1st generation, all other RAV4s were extremely conservative in their styling, both inside and out. 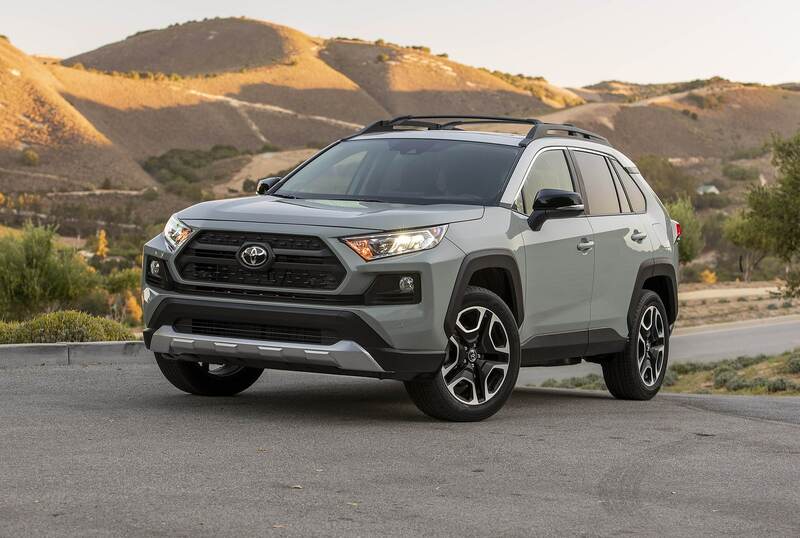 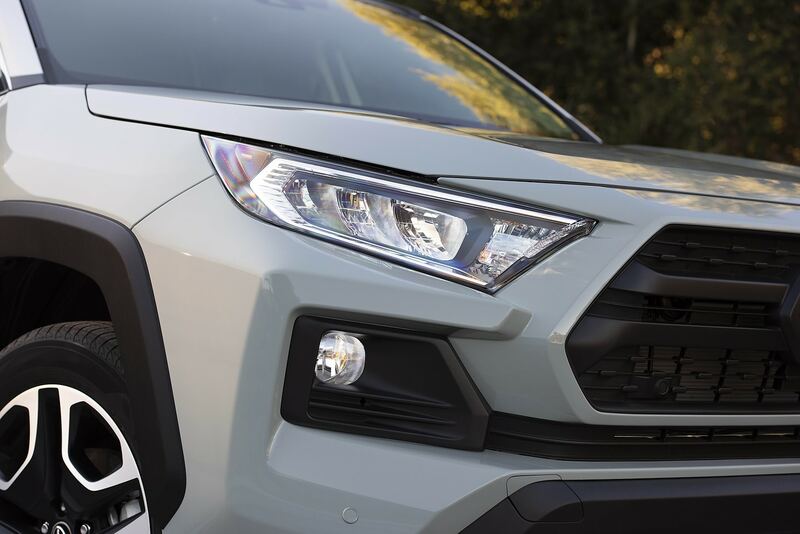 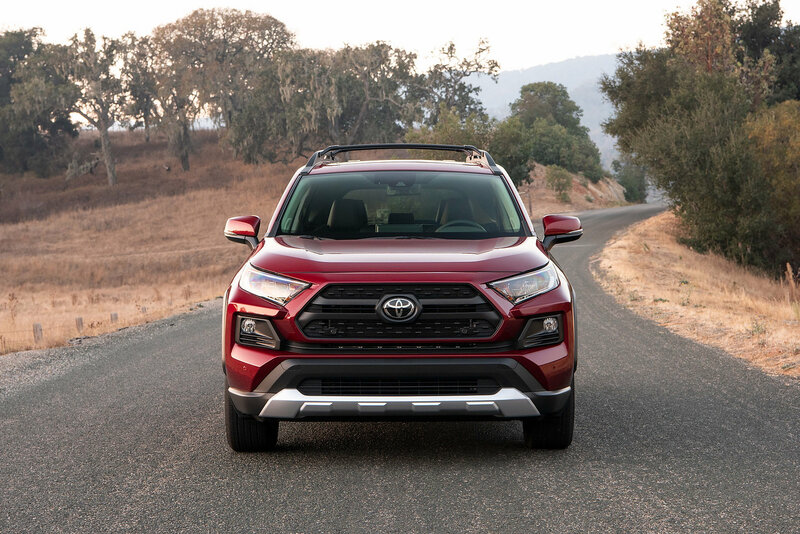 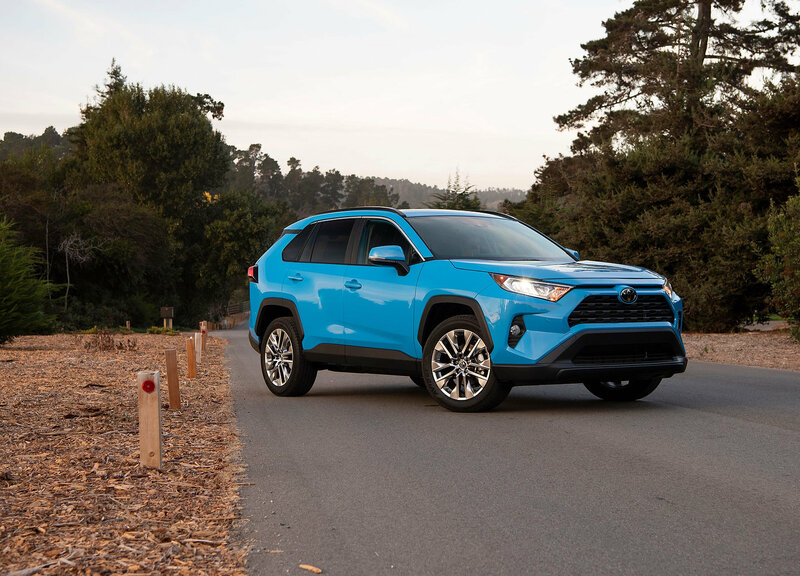 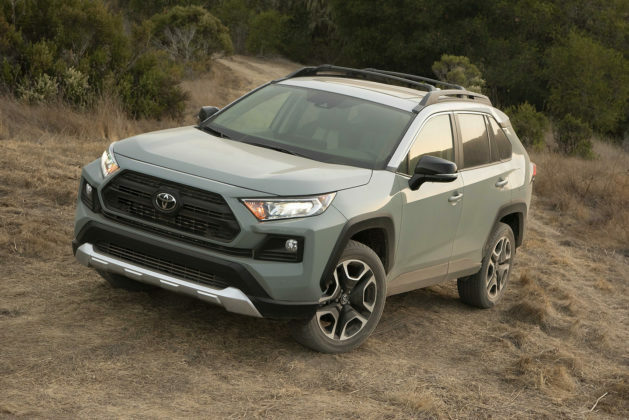 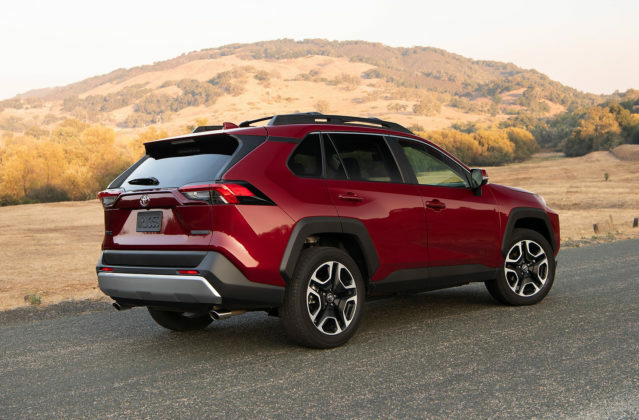 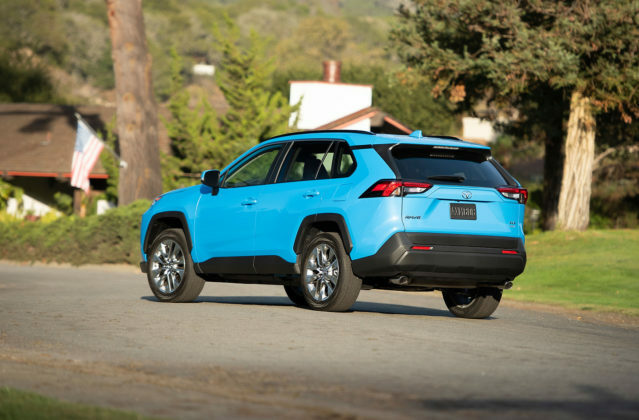 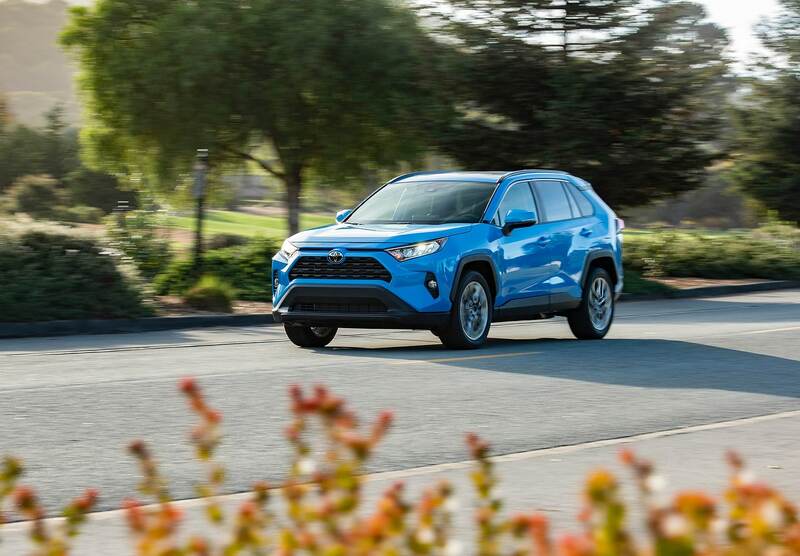 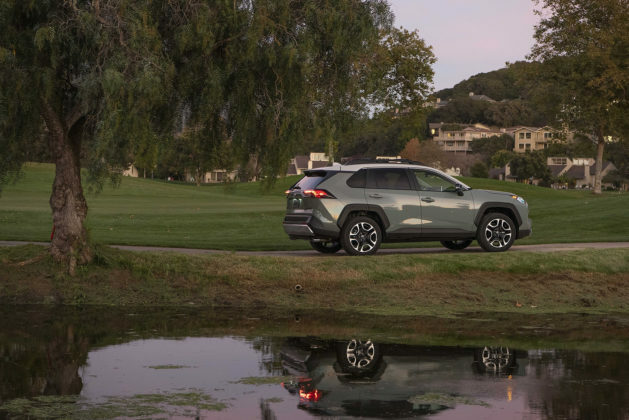 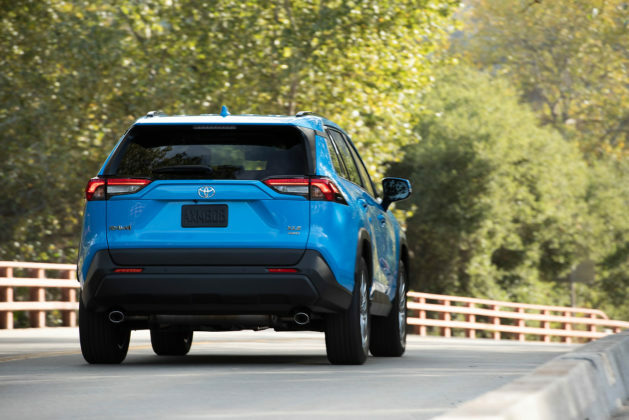 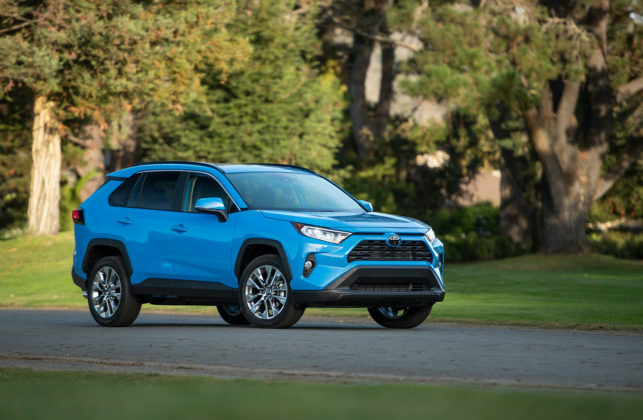 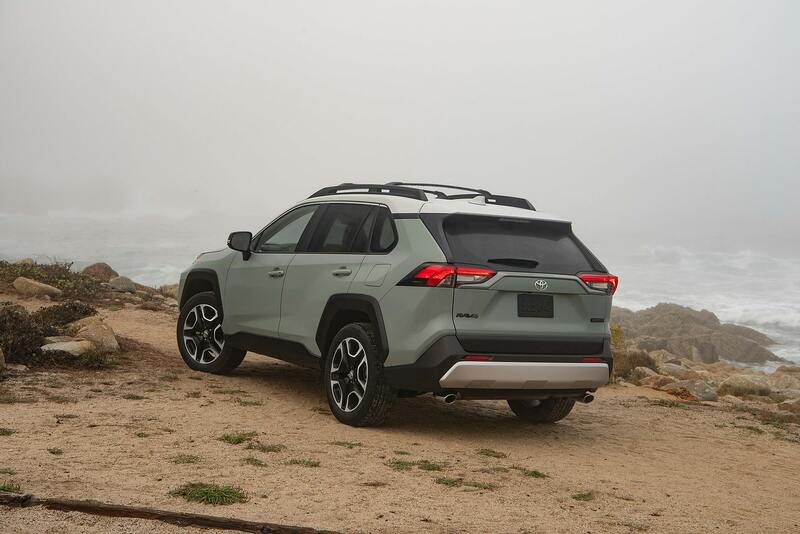 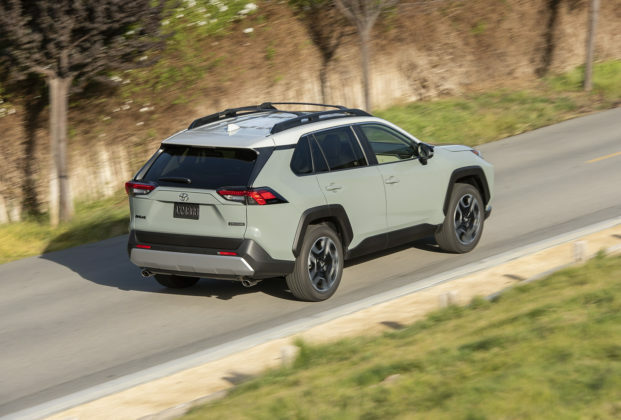 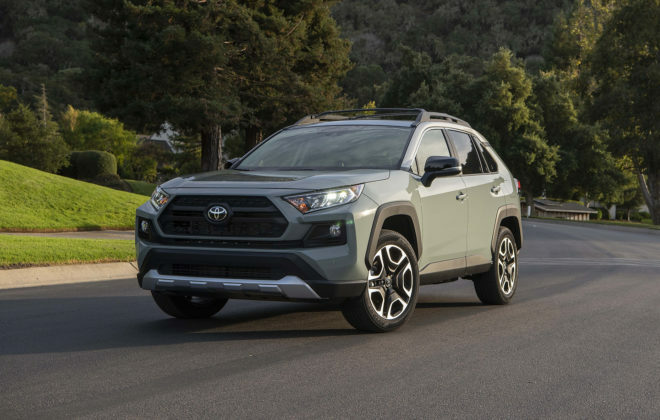 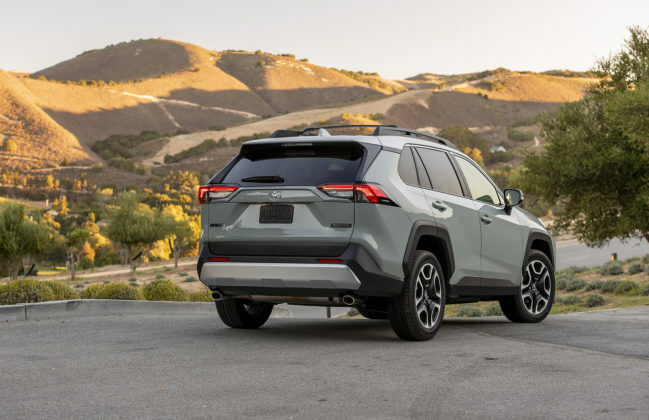 This time around, the 2019 RAV4 is bold, assertive and more masculine. 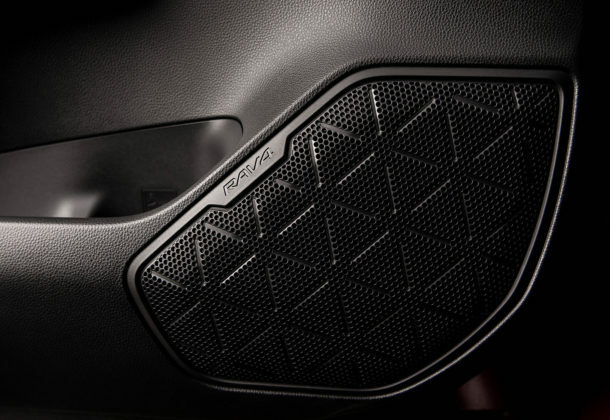 All versions are adorned with plastic flares that cover wheel sized from 17- to 19 inches. 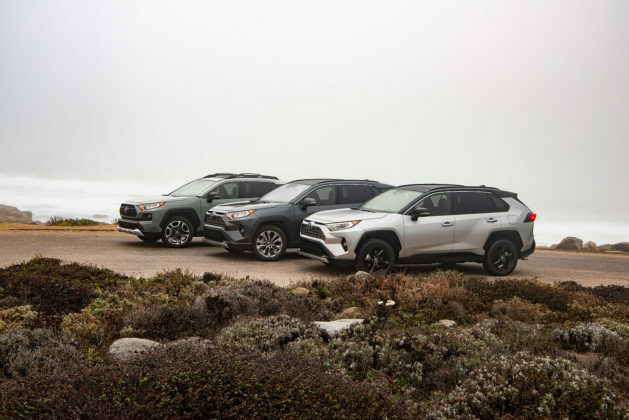 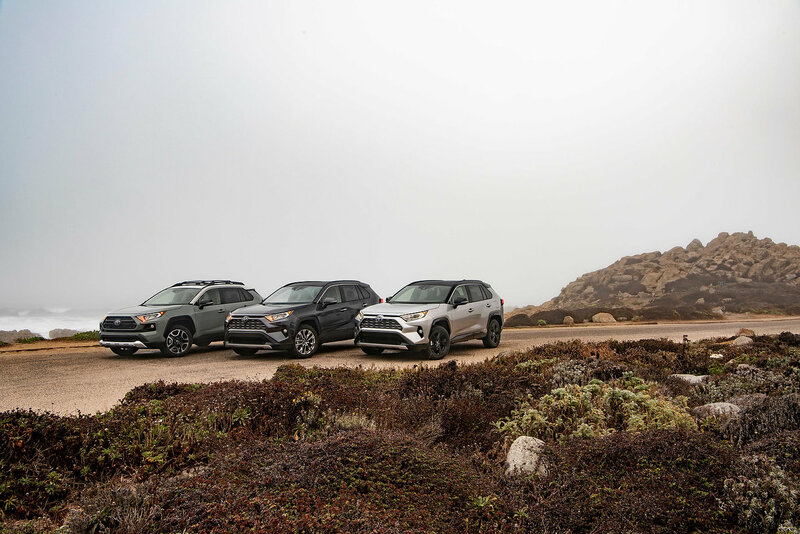 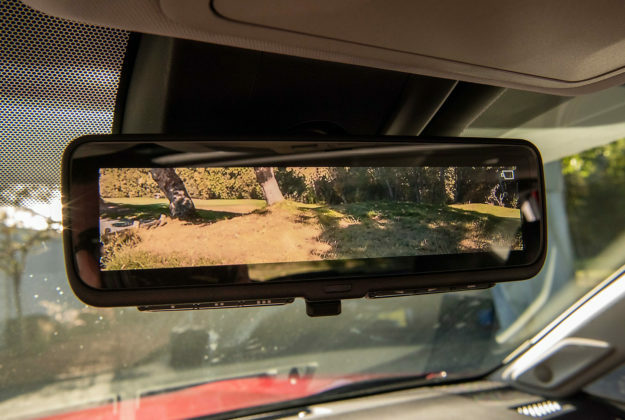 There are nine versions of the RAV4 for 2019, all of which include various visual cues. All told, the new RAV4 is attractive. 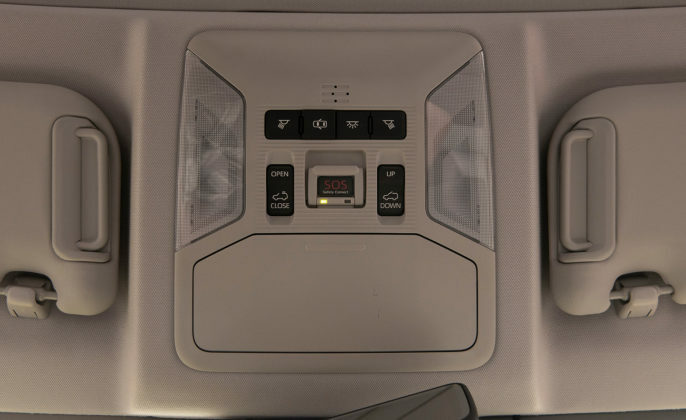 The cabin too has gone from subdued yet functional to 21st Century dynamic and techno-packed. 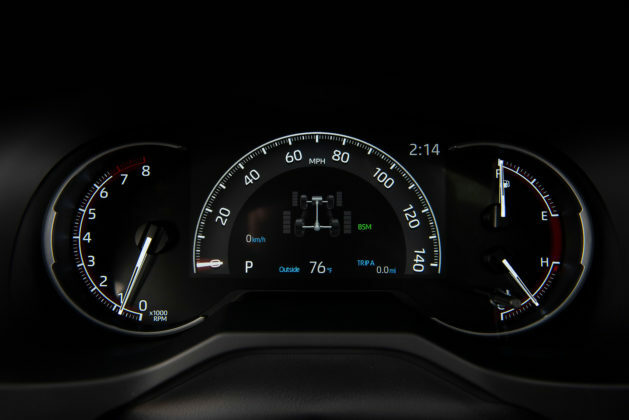 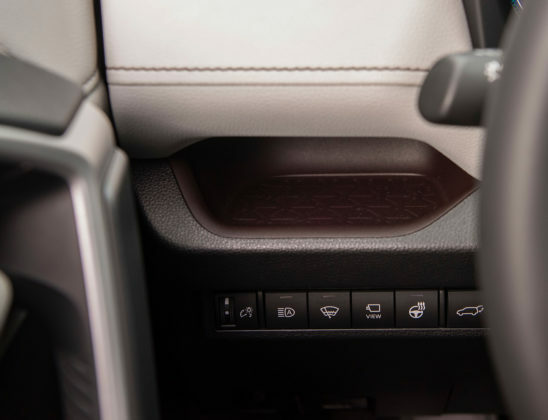 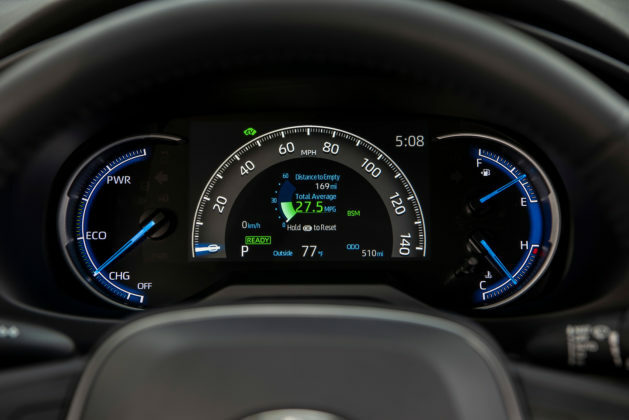 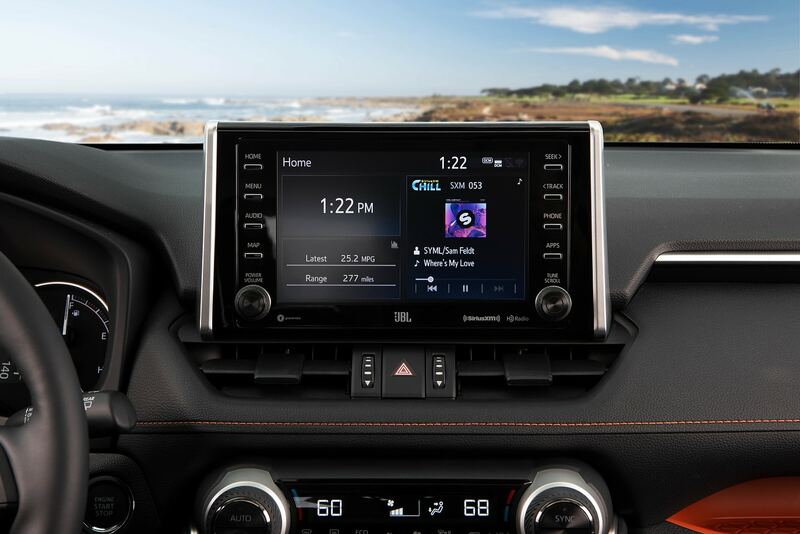 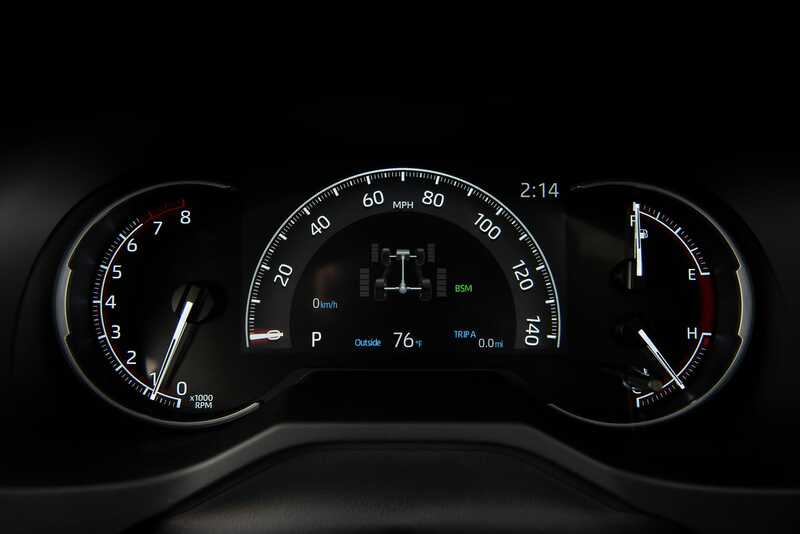 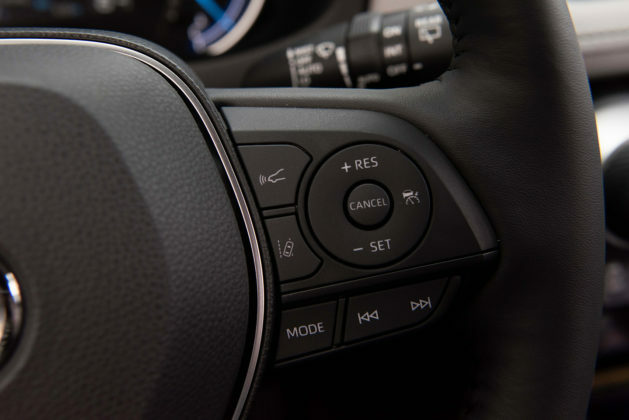 The 7.0-inch touchscreen sits smartly up-top the center stack where numerous connectivity features are displayed. 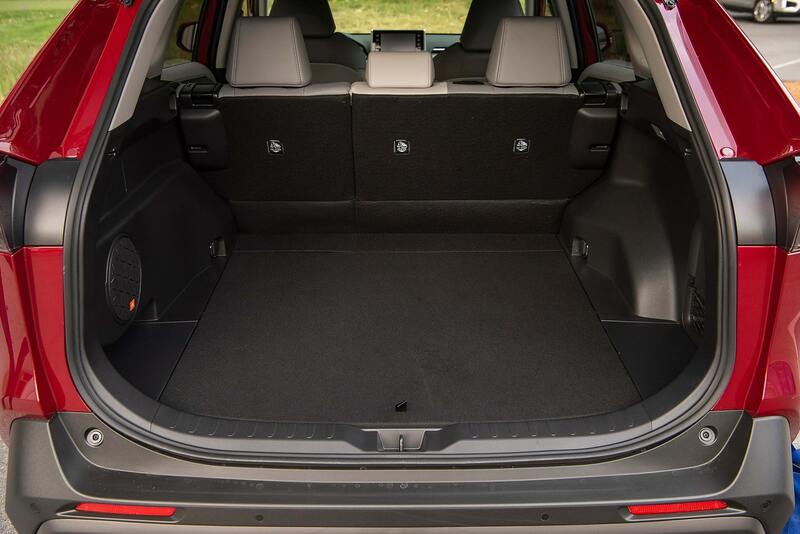 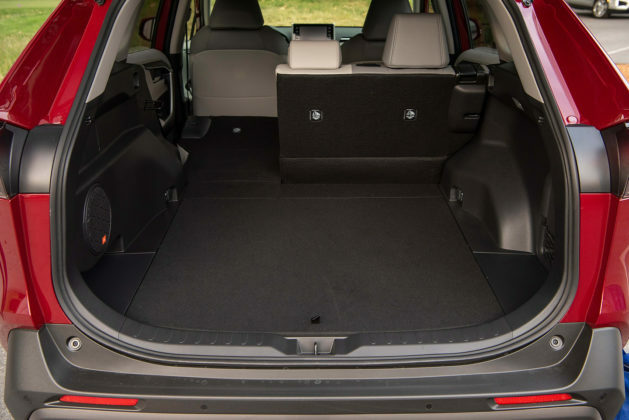 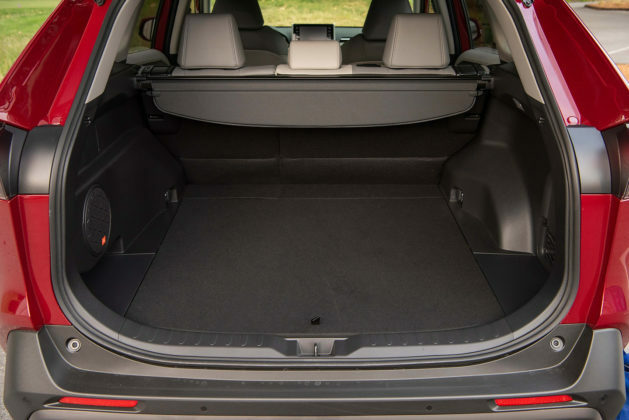 Interior space has grown slightly but the 2019 RAV4 is not the roomiest in the segment. The boot gains in volume but the rear bench could have benefited by the 30.4mm increase in wheelbase length. 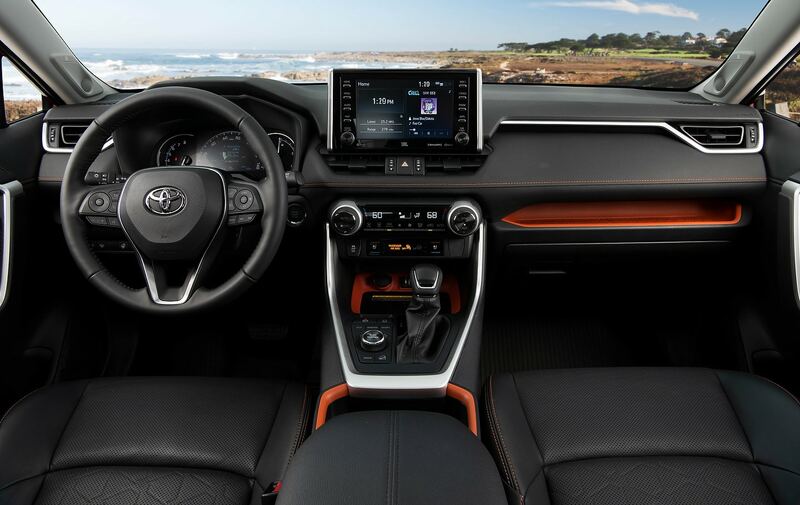 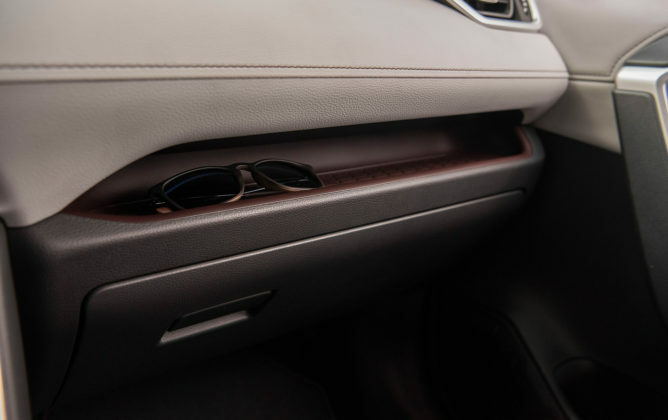 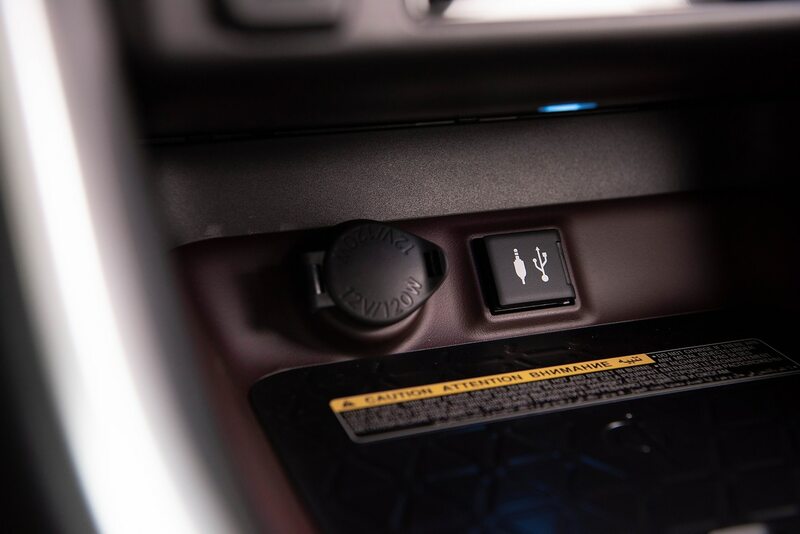 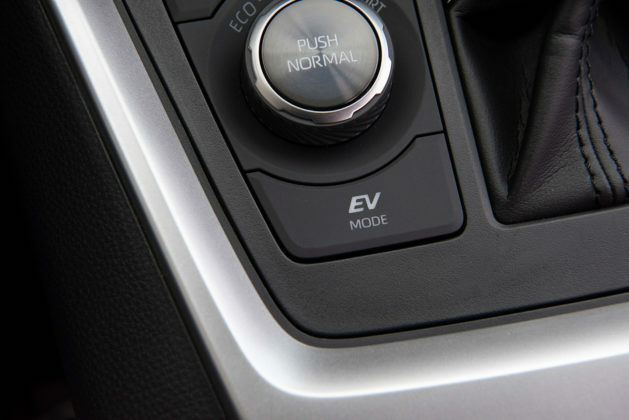 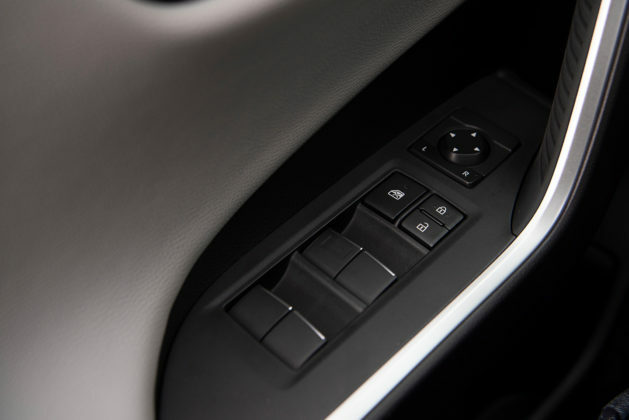 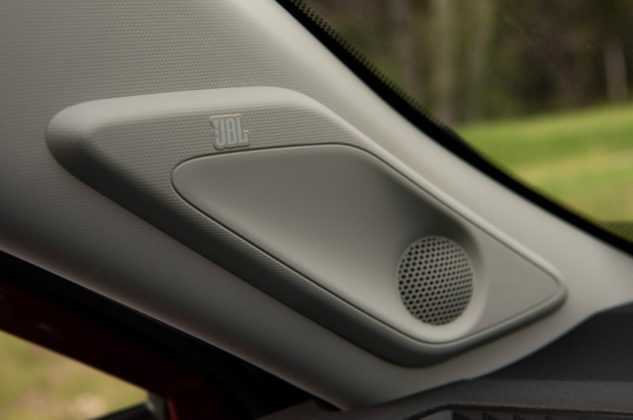 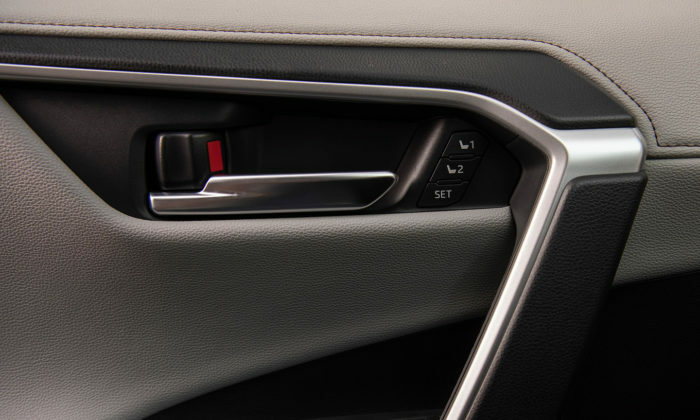 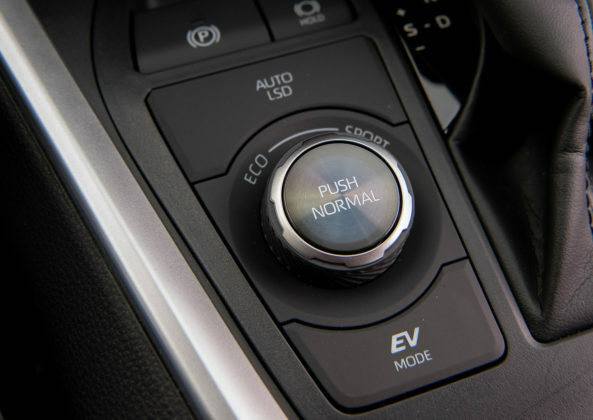 Depending on trim, numerous features become available, including heated and ventilated front seats, heated rear seats and steering wheel, and wireless charger. 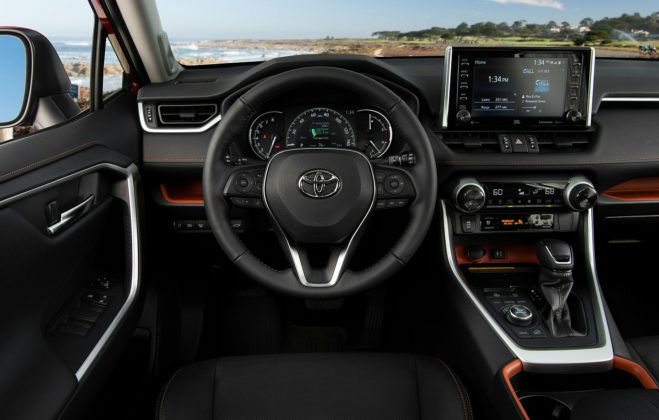 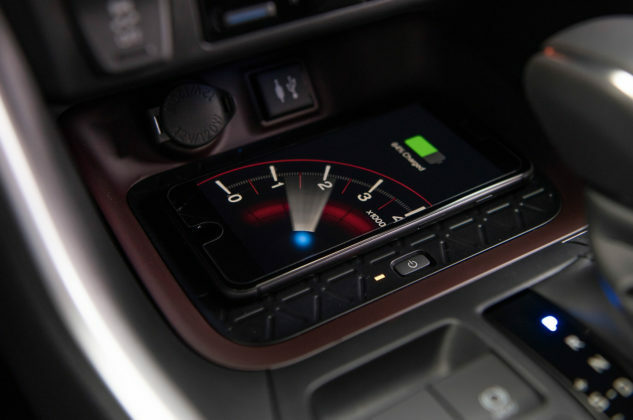 The list of standard equipment is more complete than ever with Entune 3.0 Audio, Apple CarPlay, Toyota Safety Sense 2.0, Blind Spot Monitoring and Rear Cross Traffic Alert. 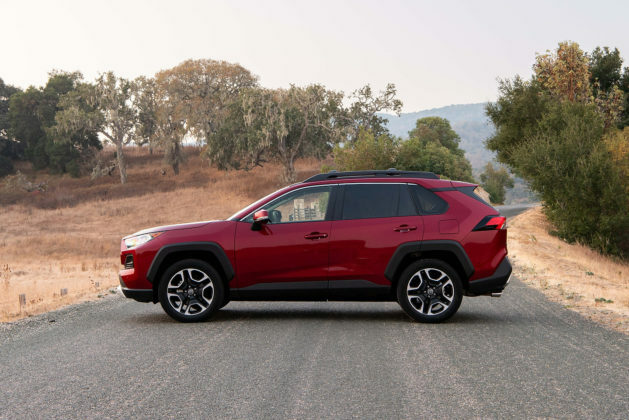 Also new is the fact that the 2.5-litre 4-cylinder engine now provides 203-horsepower and is mated to an 8-speed automatic transmission. 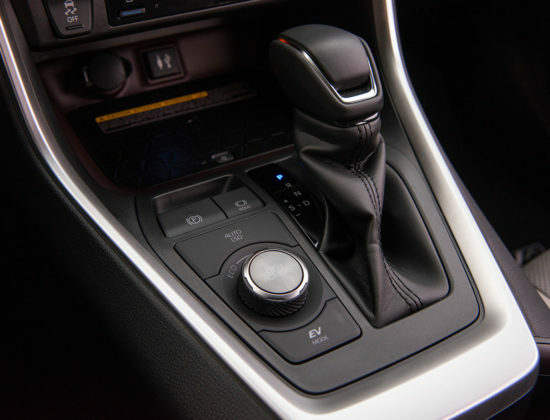 FWD is standard and AWD is available on all trims. 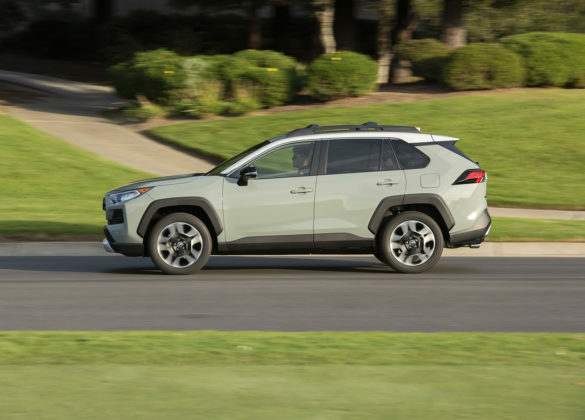 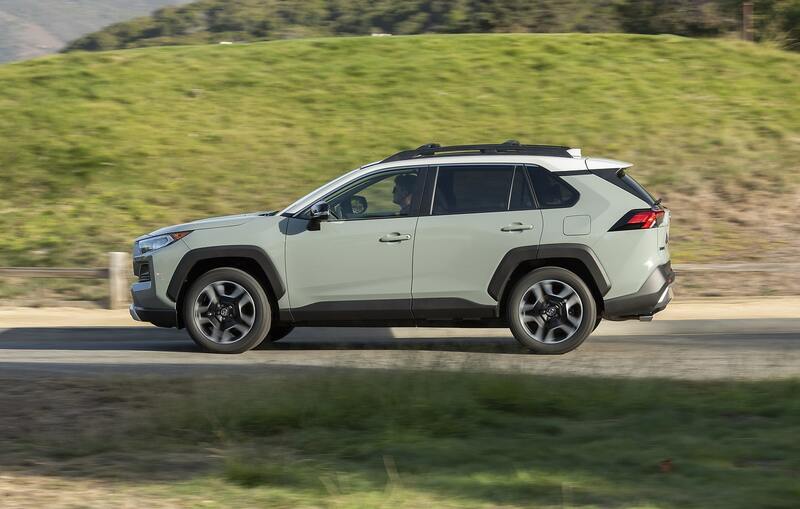 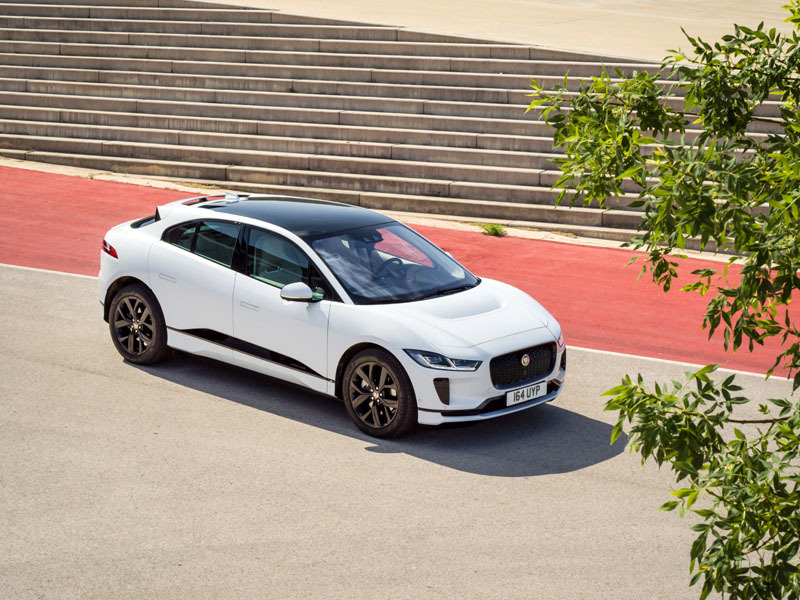 The Trail version includes Dynamic Torque Vectoring with rear Driveline Disconnect and Multi‑Terrain Select. 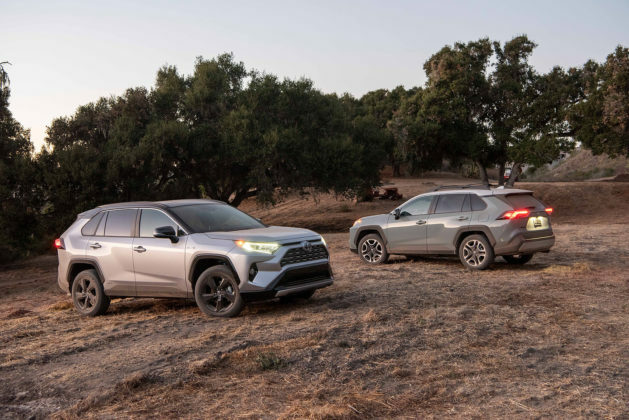 The new Hybrid edition incorporates a next-generation hybrid system that delivers 219 net horsepower, class‑leading fuel efficiency, and approximately 900 km of driving range. 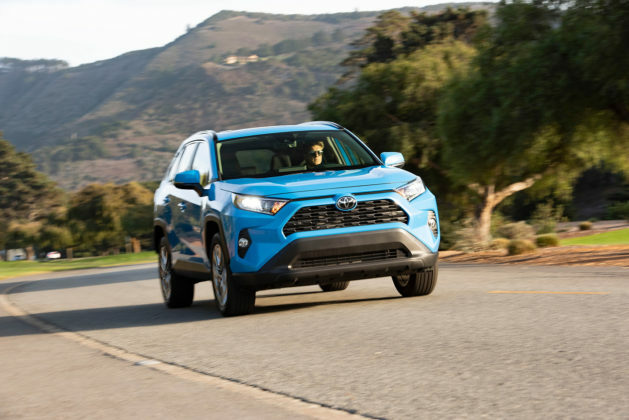 What’s the 2019 Toyota RAV4’s price? 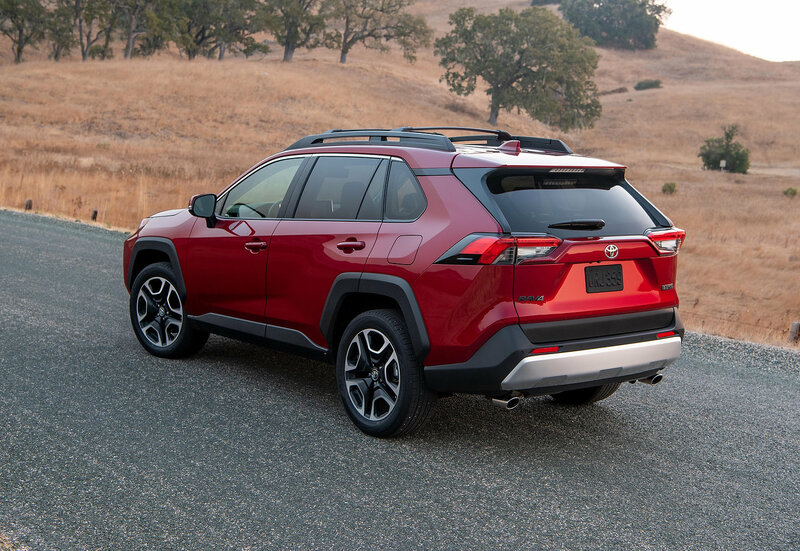 The base 2019 FWD RAV4 LE starts at $27,990. 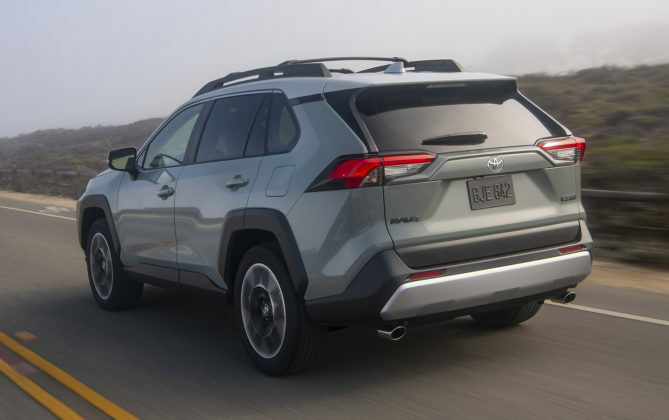 Adding AWD to the LE brings the price up to $30,690. 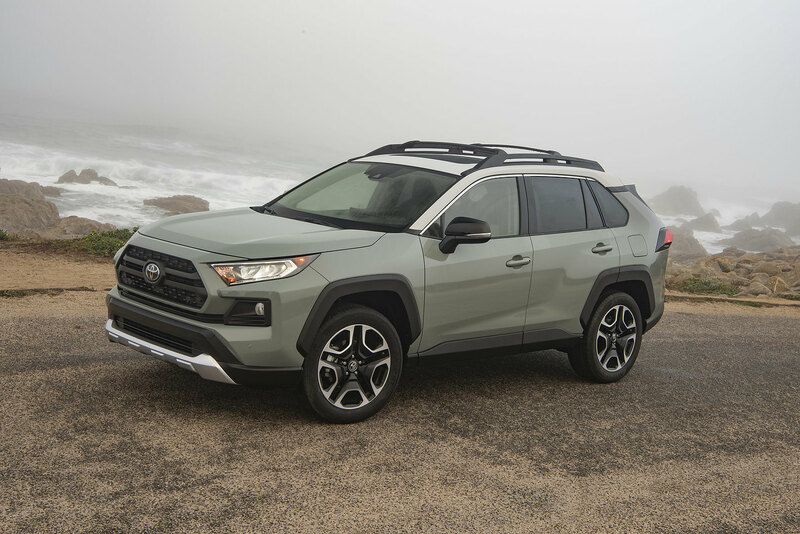 The very cool AWD Trail version retails for $38,690 while the top line Limited sports a $40,690 sticker price. 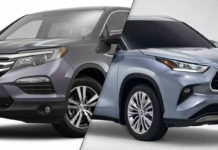 Pricing for the 2019 Hybrid has yet to released. 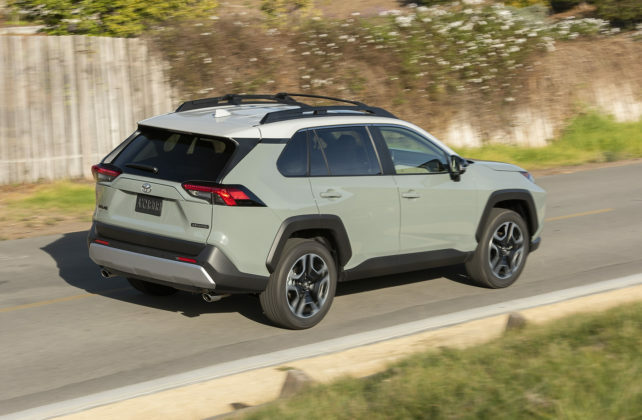 The 2018 Hybrid was available for $34,790. 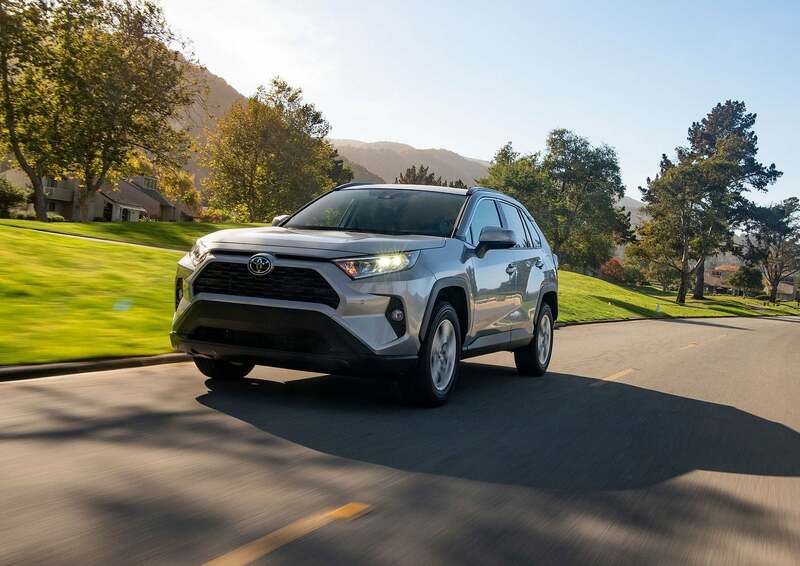 The all-new 2019 Toyota RAV4 is already on sale. The Hybrid is expected next spring. 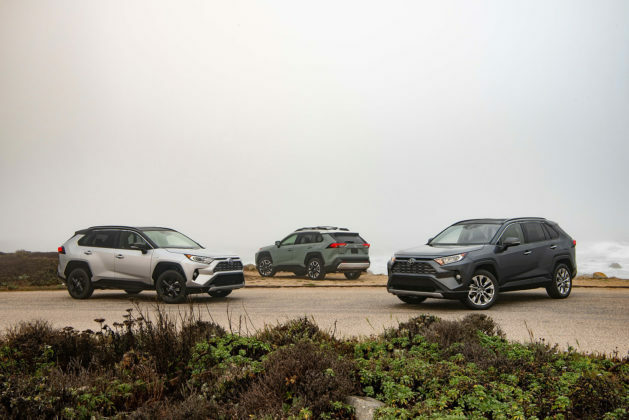 What other crossovers and SUVs should you check out if you’re interested in the 2019 Toyota RAV4? 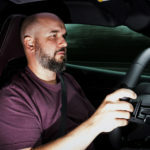 The list of competitors in this segment is considerable. 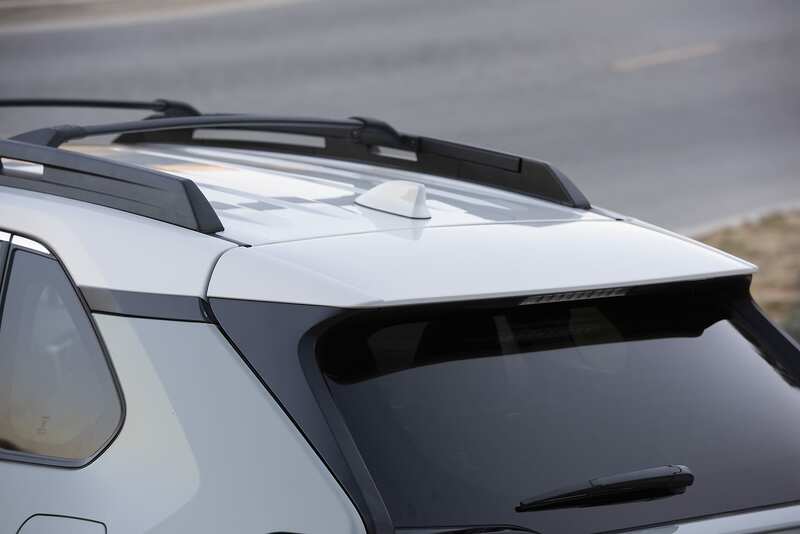 The new Subaru Forester is near the top of the list, as is the Mazda CX-5, Hyundai Tucson and the Honda CR-V. All of these vehicles provide value, reliability and capabilities that are certain to match and meet your expectations. The new 2019 RAV4 will be an excellent purchase. 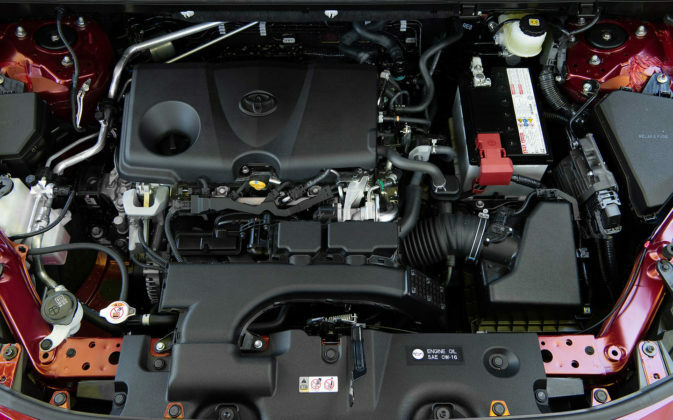 As we put it in our first drive review, the compact Toyota ‘ute will serve you well. 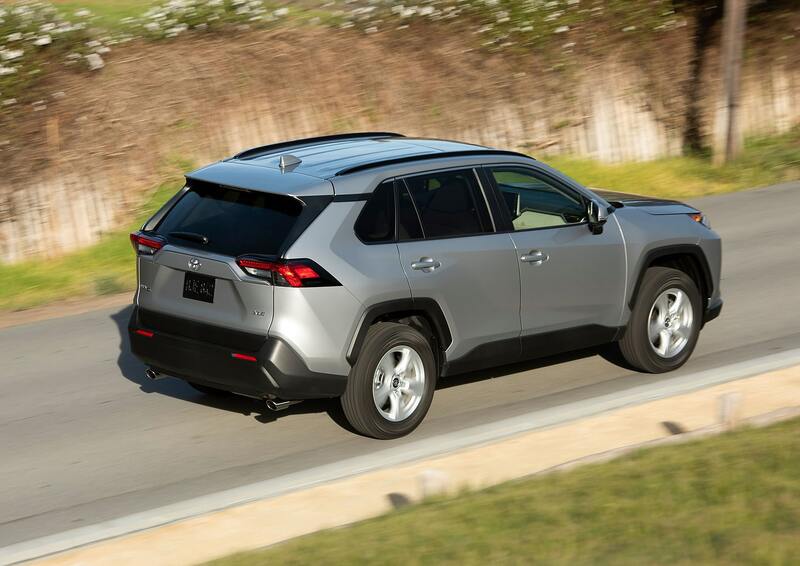 We have no reservations as to its reliability and resale value nor are we concerned that this is an all-new vehicle. 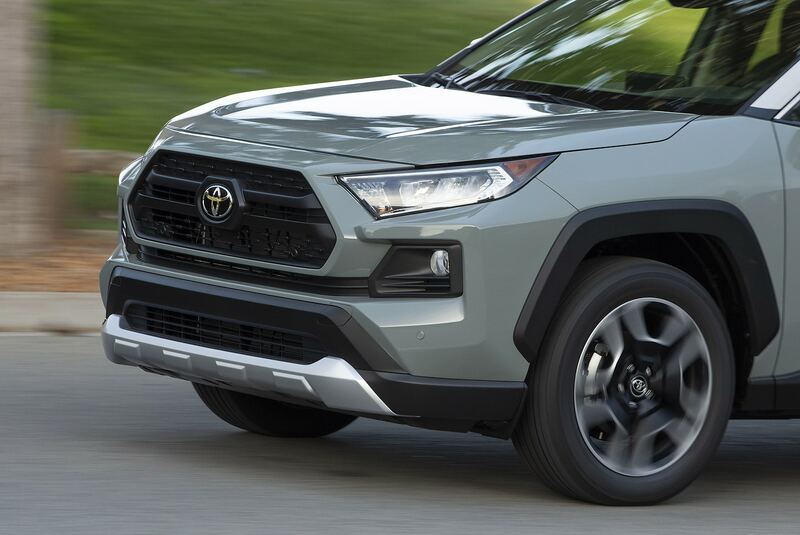 Toyota’s reputation for building some of the best vehicles in their respective segments remains a near guarantee of overall satisfaction. 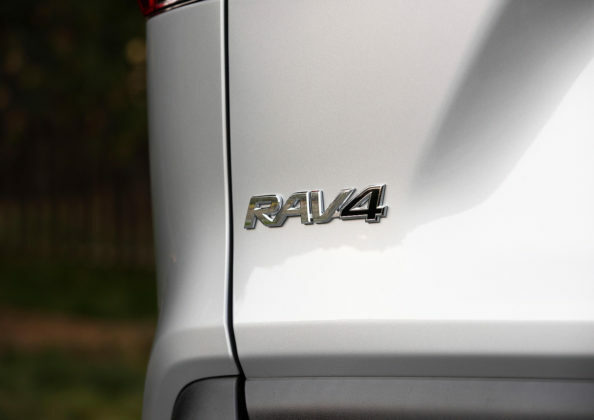 As well, the RAV4 is built in Canada which is a very good thing.